Heat oven to 190C. Heat a pressure cooker on browning setting. For the Master Stock Duck Legs, place the garlic and 2 tablespoons of the oil in the pressure cooker on browning setting and fry until garlic is golden and caramelised. Add sugar, soy sauce and water and stir to combine. Turn the machine to pressure cooker setting and add the duck legs. Secure lid and cook for 35 minutes. Once the duck legs are cooked, remove from pressure cooker. Strain the master stock liquid through a fine sieve, discarding the solids. Set the master stock aside until needed. Place a medium fry pan over medium heat and add the remaining oil. Add the cooked duck legs and half the master stock. Simmer until duck legs are glazed and caramelised, about 8 minutes. Add more master stock to the pan during cooking if required. For the Onion Purée, place the sliced onions in a medium saucepan along with the butter. Cover the saucepan with a lid and place on the stove top over low heat and cook gently, stirring occasionally until onions are soft, about 10 minutes. Once onions are soft and cooked through, transfer to a stick blender canister along with the pan juices and blitz to a smooth purée. Season with salt and white pepper to taste and set aside, keeping warm, until needed. 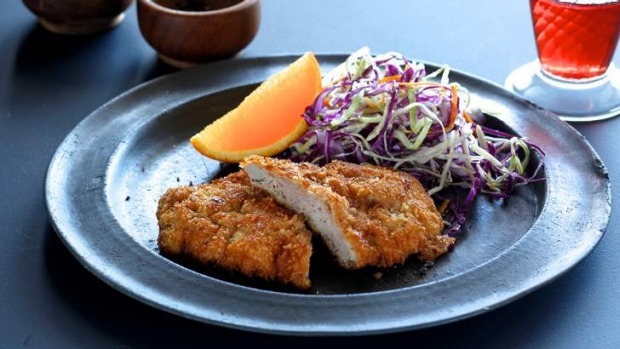 For the Crispy Duck Breast, place duck breasts, skin side down, in a cold fry pan. 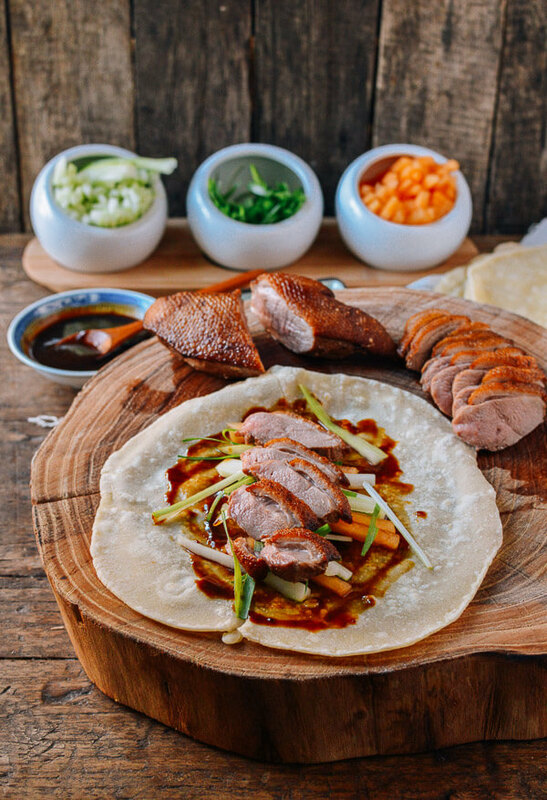 Place over medium heat and allow to cook gently on skin side until duck skin is rendered, about 8 – 9 minutes. Turn the duck breasts over and continue cooking on the other side for a further 5 minutes or until duck is cooked and still slightly pink in the middle. 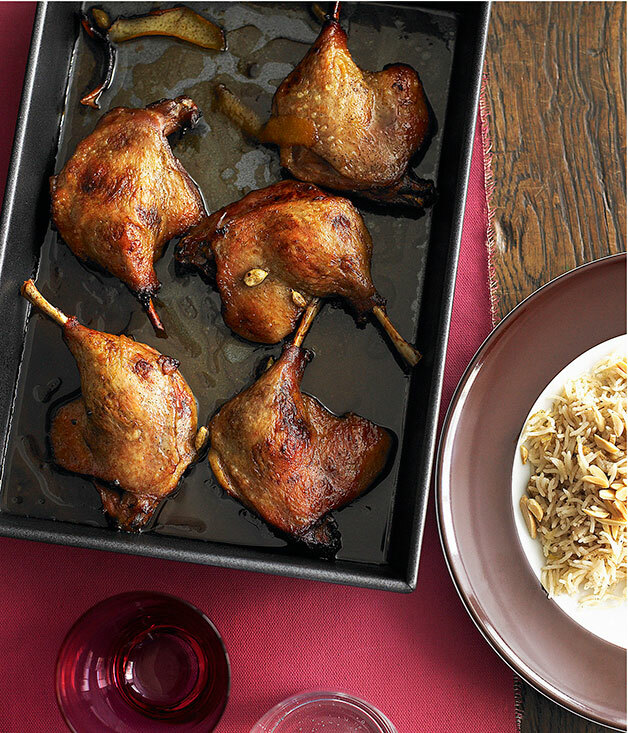 Remove duck breasts from the pan and place on a wire rack to rest until required. Reserve the rendered duck fat in the pan for the Roast Leeks and Shallots. For The Roast Leeks and Shallots, place the leek and shallot slices in the reserved fry pan of rendered duck fat. Place over a medium heat and cook gently for 10 – 15 minutes or until soft and caramelised, being careful not to break up the vegetables. 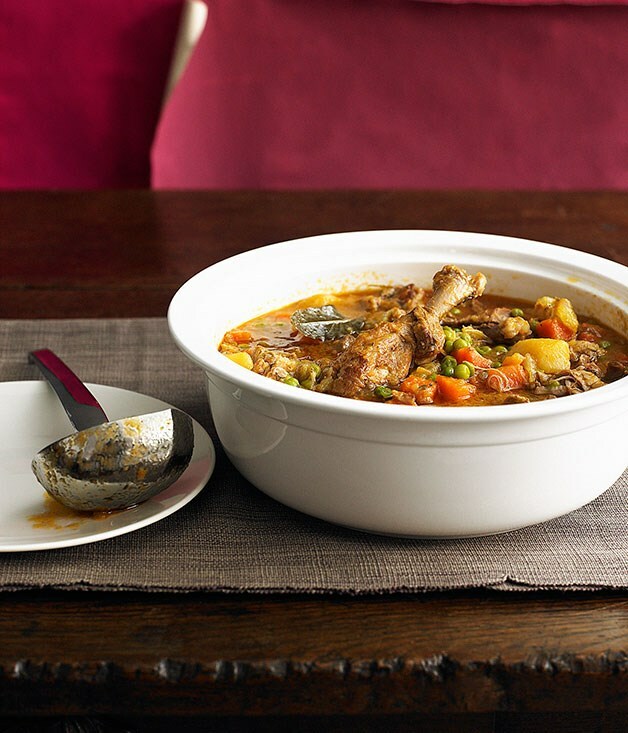 Once cooked, remove leeks and shallots from pan and set aside, keeping warm, until needed. For the Char Siu Glaze, place a large fry pan on the stove top over high heat. Add oil and duck bone and wing pieces and fry until bones are golden and caramelised, about 5 minutes. Add the water and char siu sauce to deglaze the pan, scraping the bottom of the pan with a wooden spoon or spatula. Reduce heat and allow the sauce to simmer until syrupy and reduced by half, about 20 minutes. Once reduced, strain the glaze through a fine sieve, discarding solids and set aside until needed. Place a clean fr pan over high heat and add the butter. Swirl the pan until the butter melts and turns a dark, nut brown colour, being careful not to burn. Add the strained glaze and whisk to combine. Add vinegar, sugar and salt to taste until flavour is balanced. Set glaze aside, keeping warm, until needed. For the Garlic Chips, heat oil in a small saucepan to 190C. Drop the finely sliced garlic into the hot oil and deep fry until crisp and golden, about 1 minute. Remove the garlic form the oil an drain on paper towel. Season to taste and set aside until needed. To serve, place 2 spoonsful of the Onion Purée into the centre of each plate and smear slightly. Place 2 pieces of roast leek and 2 pieces of roast shallot on each plate near the purée. Trim the duck breasts and slice in half diagonally. Place half a duck breast on each plate on one side of the purée. Trim the meat away from the duck legs, removing the bone. Roll the meat in a little warm master stock and place on each plate on the purée at the opposite side of the plate from the duck breast. Scatter garlic chips over each dish. Drain the sliced spring onion and pat dry. Scatter over each dish to garnish.